Learn the essentials of containerization, deploying Kubernetes, and operating clusters. In this 2-day course, Ryan Schneider from VMware, mixes lectures with hands-on exercises to show attendees how to build out a distributed system from ideation to production. Day 1 covers all the essentials needed to understand Kubernetes architecture and use it to deploy applications. In this 2-day course, Ryan Schneider from VMware mixes lectures with hands-on exercises to show attendees how to build out a distributed system from ideation to production. Day 1 covers all the essentials needed to understand Kubernetes architecture and use it to deploy applications. From the basics of containerization to deploying Kubernetes to managing and maintaining your Kubernetes cluster, Day 2 focuses on the practicalities of transitioning to this type of application architecture the right way and will help those responsible for operating and maintaining a Kubernetes cluster. Operational aspects will be covered with an emphasis on real-world practicality. VMware’s unique lab experience provides an entire cloud computing toolset for each student requiring no special software requirements or setup for your local machine. Ryan Schneider has worked as a backend and distributed system engineer since 2004 and worked in companies both large and small. Ryan has a BS in CS, an MS in Software Development and Management, and a passion for architecture and building great systems. At night he also taught as an adjunct professor for the RIT Software Engineering department. After years of software development and architecture in the industry, he decided to blend his love for teaching and open source software as Education engineer at Elastic teaching and consulting with engineers worldwide about Elasticsearch. 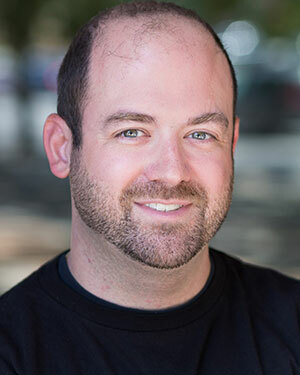 Ryan currently works for VMware as a Lead Education Engineer in the Cloud Native business after coming from Heptio and being excited about the cloud native movement that the Kubernetes community is driving.